from the 2008 utzon exhibition in palazzo franchetti, venice. architect: jørn utzon (1918-2008) with hans munk hansen (b.1923). my main text and another model photo of the project here. found another photo of the original model for the melli bank, taken at the utzon exhibition in venice in 2008. this view allows us to see how the folded concrete beams change through the building as their position and the role they play change, while remaining clearly related whether they form floors, roofs, skylights, entrance canopy or even the back wall of the bank hall. this is perhaps the most direct translation we’ll find in utzon’s works of the diagrams from d’arcy wentworth thompson’s 1917 ‘on growth and form’, a book on the physics and mathematics of growth and how it informs form in biology, and a book utzon would recommend to his employees. I am adding one or two of the famous diagrams from the chapter ‘on the theory of transformations or the comparison of related forms’ to the comments, and I think you can hear from the titles alone why utzon would find thompson relevant to his work and research. d’arcy wentworth thompson still matters in architecture today, not surprisingly his examples are used by the proponents of parametric design. 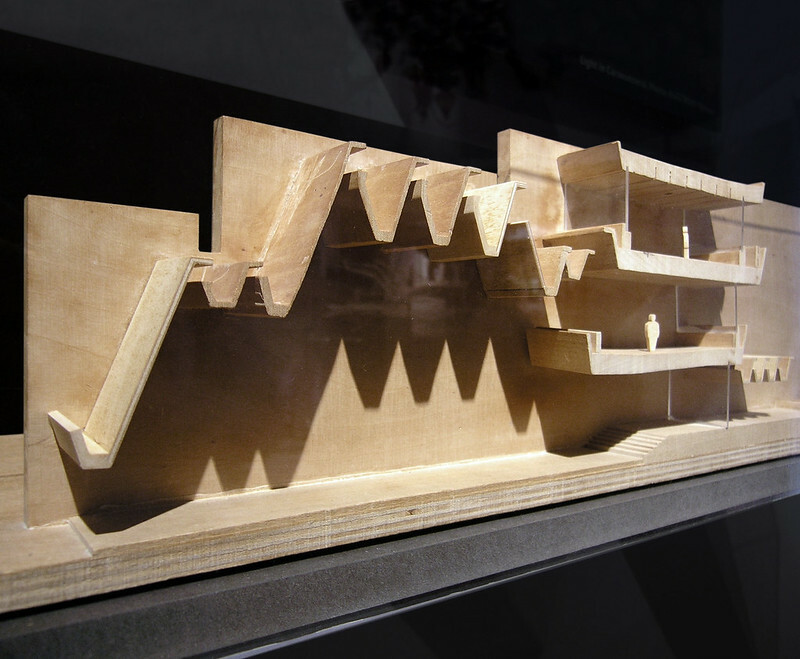 as the sectional model of bank melli shows, they should look at utzon too, not least because he was able to translate the transformations they study into actual built form with everyday programmes and budgets. if parametric design has shown a tendency to focus on the outer shell of buildings or on patterns in planning, perhaps projects like the bank melli and utzon’s courtyard houses could show a way to deal with the whole building. Image published by seier+seier on 2013-01-12 14:09:08 and used under Creative Commons license.